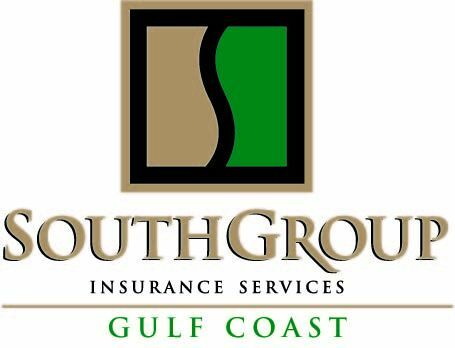 SouthGroup Gulf Coast - Your Trusted Choice: Think Pink! Have you ever wondered how the color pink became synonymous with breast cancer awareness? It seems they have always gone together, but in fact the origin of the pink ribbon connection began when the Susan G. Komen Foundation handed out pink ribbons to participants in it’s New York City race for breast cancer survivors back in 1991. This was derived from the popular red ribbon used for AIDS awareness previously. The color pink is considered feminine in modern Western countries and evokes traditional feminine gender roles such as caring for others. The pink ribbon represents fear of breast cancer, hope for the future, and the charitable goodness of those who publicly support the breast cancer movement and it is intended to promote solidarity with women who are currently battling or have battled breast cancer. So now you may be wondering if we are "thinking pink" too early. After all, Breast Cancer Awareness month isn’t until October. Unfortunately, cancer isn’t scheduled nor the trials that go along with cancer. And, while we do want you to focus on prevention and your health, today we think pink in celebration of the people who donate so much to support the efforts in the battle against breast cancer. The support is not only overwhelming, but also a blessing and we are eager to participate. This Friday we are joining our local friends at Lazy Magnolia Brewing Company in supporting the "Pink Heart Funds" in a charitable event that will have everyone thinking pink early this year! Now, with all of these pink ribbons flying around, we can understand why you may question some of the charities and organizations that are so eager to take your donations, so first let’s find out just who "Pink Heart Funds" is! The Pink Heart Funds was founded by a hair stylist who battled breast cancer and lost her hair, JoAn Niceley. "After spending most of my life as a hairstylist and a wig specialist, I knew I had to move in a new direction, to take a course that would make a positive difference for me and others going through the same thing I did – for those children, women, and men facing the sorry joke that cancer treatment plays on its victims: the loss of hair," Niceley says in her biography. Pink Heart Funds, a non-profit organization, was founded to help children, women, and men with limited funds or no insurance to receive free wigs if they have medically induced hair loss. Pink Heart Funds also provides free breast prosthetics and lymphedema sleeves (sleeves that apply pressure on the arm and reduce swelling from the accumulation of lymphatic fluids in the tissues) for women with breast cancer. "I realized the needs for free prosthetics and wigs when I met women who were living without them because they couldn’t afford them," Niceley stated. "The work of Pink Heart Funds has expanded since my discovery that children with cancer were being charged for wigs and had to wait months to qualify." Patients who are fighting cancer and suffering hair loss are experiencing trauma. For a child, the experience can be even more traumatic. This Friday evening we are proud to join Lazy Magnolia Brewing Company for a fantastic event that has everyone thinking pink. Starting at 5:00pm we will be serving up some delicious BBQ and the proceeds will be donated to Pink Heart Funds. And, for more fun, we will be raffling off chances to win $100 in gift certificates to local restaurants. But, that’s only a small part of the excitement we want you to join! It’s not just a charity event, it’s a party! Samples of Lazy Magnolia’s finest brews will be available and the fabulous Oak Street Boys will be performing…all in the name of Pink Heart Funds! Locals already know the secret that Lazy Magnolia has the best brew around, but bring your friends who may not know. And if you haven’t heard the Oak Street Boys yet, don’t miss this opportunity for a free show where you can enjoy their unique brand of classics, blues, funk and rock. And lastly, but most importantly, Stylists will be there to assist anyone who wishes to donate 8" or more hair to the Pink Heart Funds for wigs…free of charge! We know we are ahead of the game since Breast Cancer Awareness Month is actually next month, but we also know there’s no time like the present to join the fight! For more details about the event, contact our office at 228-466-4498 or Lazy Magnolia Brewery at 228-467-2727. To learn more about Pink Heart Funds visit their website at: www.pinkheartfunds.org/home . YourTrusted Choice Insurance Agent stands ready to assist you. We help you through the maze of insurance coverages, carriers, and premiums, and we find the best personal coverage for you at affordable rates. We help you save money on your insurance --- and we save you time! But remember, when it comes to insurance one size does not fit all. FaceBook www.facebook.com/southgroup.gulfcoast , or Twitter www.twitter.com/atreutel ! We have 3 Gulf Coast locations to serve you - 2505 Pass Road - Biloxi, 5400 Indian Hill-Diamondhead, and 412 Hwy 90 Ste 6-Bay Saint Louis, MS. We can write coverage in 40 different states. Thanks to Susan Monti for her words of wisdom!